Snack & Lunch Boxes & Water Bottles There are 33 products. 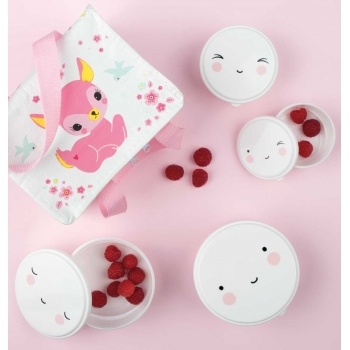 Looking for a lovely snack box for your little one to take to school? 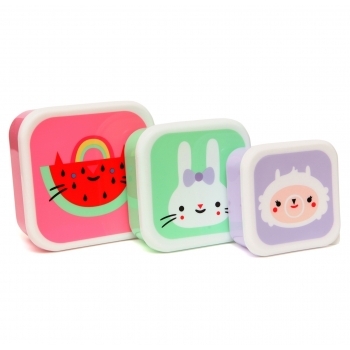 How about these happy face snack boxes that come in a set of four different sizes, and are perfect for fruits, snacks and little sandwiches. Also great for us grown-ups to take to work. 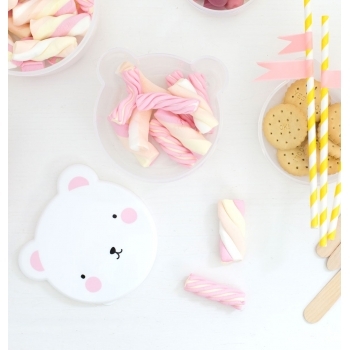 Looking for a lovely snack box for your little one to take to school? 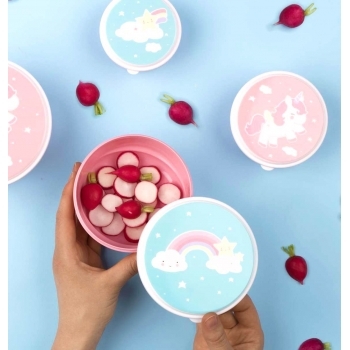 How about these snack boxes with unicorn and rainbow design that come in a set of four different sizes, and are perfect for fruits, snacks and little sandwiches. Also great for us grown-ups to take to work. 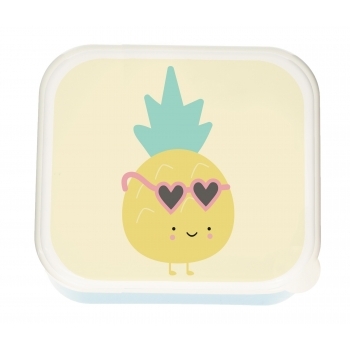 Lovely lunch box with cute pineapple illustration from Eef Lillemor. Perfect for your homemade sandwiches, fruits, nuts or sweets. 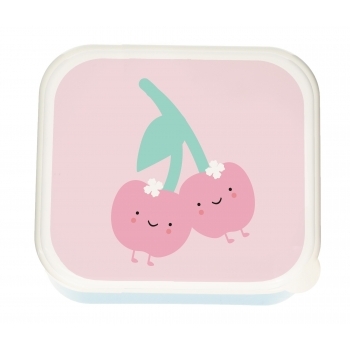 Lovely lunch box with cute cherry illustration from Eef Lillemor. Perfect for your homemade sandwiches, fruits, nuts or sweets. 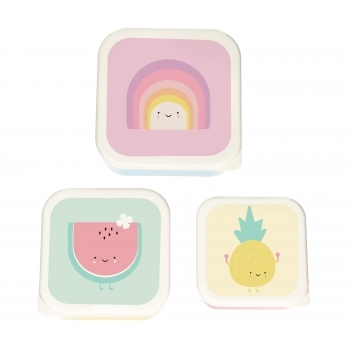 Lovely set of 3 lunch boxes in different sizes with cute rainbow, watermelon and pineapple illustrations from Eef Lillemor. Perfect for your homemade sandwiches, fruits, nuts or sweets. 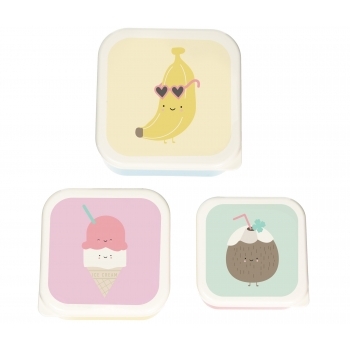 Lovely set of 3 lunch boxes in different sizes with cute banana, ice cream and coconut illustrations from Eef Lillemor. Perfect for your homemade sandwiches, fruits, nuts or sweets. 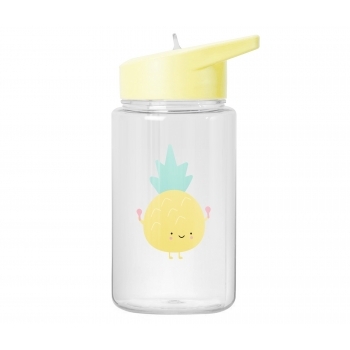 Cute water bottle with pineapple illustration from Eef Lillemor. 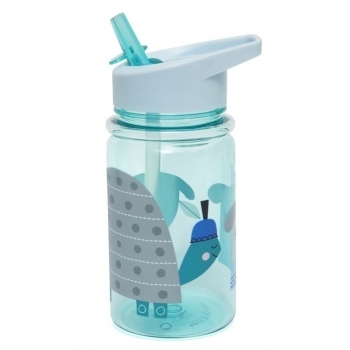 The drinking lid is foldable which makes it spill-proof - perfect for smaller and bigger kids. 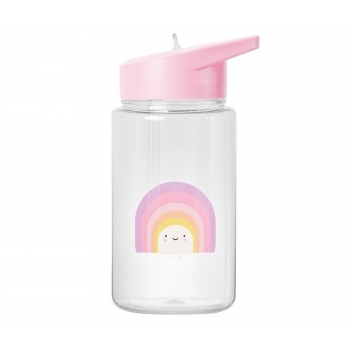 Cute water bottle with rainbow illustration from Eef Lillemor. 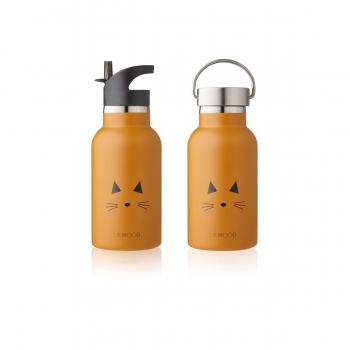 The drinking lid is foldable which makes it spill-proof - perfect for smaller and bigger kids. 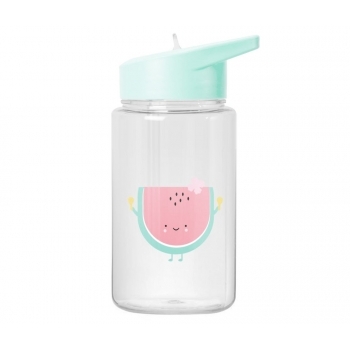 Cute water bottle with watermelon illustration from Eef Lillemor. 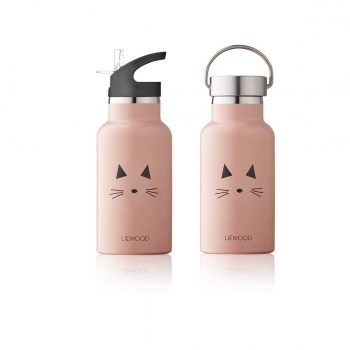 The drinking lid is foldable which makes it spill-proof - perfect for smaller and bigger kids. Going to the beach or on a field trip? 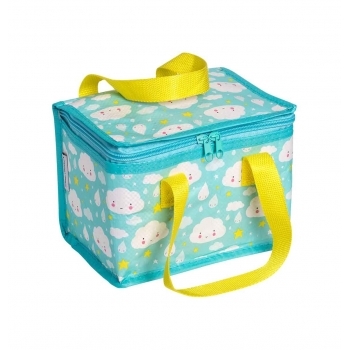 A Little Lovely company’s cool bag with cloud print is perfect and oh so lovely to take to school or on vacation. The bag fits a lunch, some fruit and a water bottle or juice box, and has two short straps that are specially attached for easy carrying. So your little one is ready to go! Going to the beach or on a field trip? 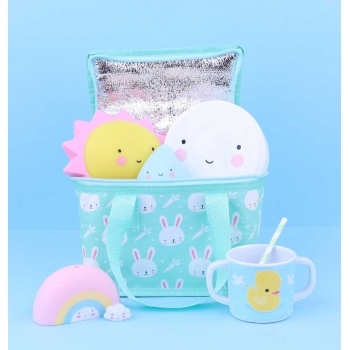 A Little Lovely company’s mint green cool bag with bunny print is perfect and oh so lovely to take to school or on vacation. The bag fits a lunch, some fruit and a water bottle or juice box, and has two short straps that are specially attached for easy carrying. So your little one is ready to go! Going to the beach or on a field trip? 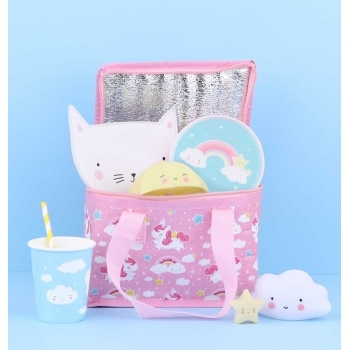 A Little Lovely company’s pink cool bag with unicorn print is perfect and oh so lovely to take to school or on vacation. The bag fits a lunch, some fruit and a water bottle or juice box, and has two short straps that are specially attached for easy carrying. So your little one is ready to go! 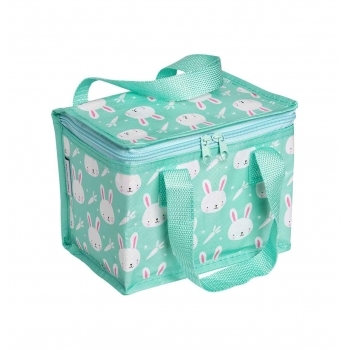 Lovely owl lunch box in light mint from Norvegian Brand Blafre. 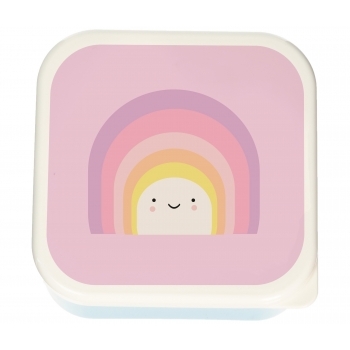 The box is made in Norway from BPA-free durable plastic, has two compartments and is dishwasher safe. 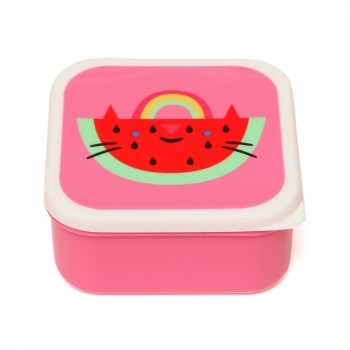 Cute set of 3 square lunch boxes with watermelon sweetness print. The boxes are dishwasher proof but not suitable for microwave. 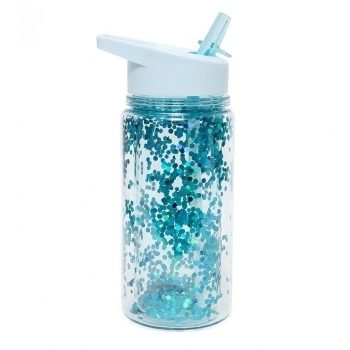 Fancy double layered transparent bottle with blue glitters and PP flip straw which holds 300 ml. The water bottle is dishwater proof but not suitable for microwave. 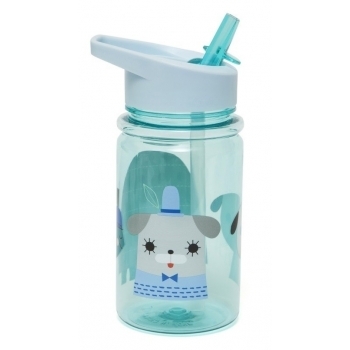 Fancy transparent bottle with peanut & co illustrations by Suzy Ultman in mint with a PP flip straw which holds 400 ml. The water bottle is dishwater proof but not suitable for microwave. Perfect for school. Cool, fun, and practical Panda lunch bag. 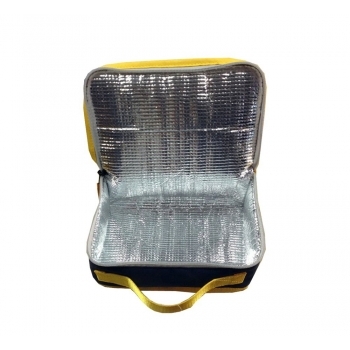 All kinds of delicious lunch packs will fit perfectly in and make lunch time more enjoyable. The Lola lunch bag is reversible with our classic panda design inside. 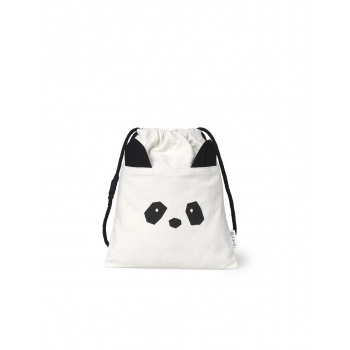 The bag can be tightened at the top using the strings and has an adorable set of panda ears. 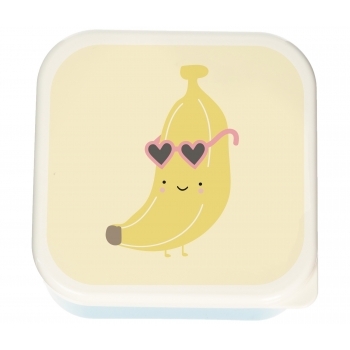 Are you looking for lovely containers to store pieces of fruit or cookies? 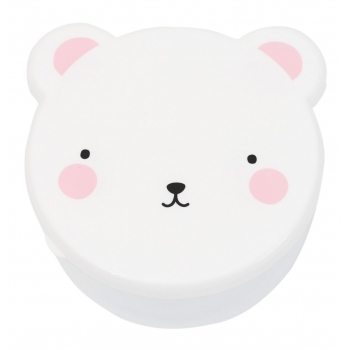 Once filled with snacks, these pink bear snack boxes get your kid through the day. The convenient containers are sold in a set of 4 different sizes. We also love using these containers to bring healthy snacks to work. 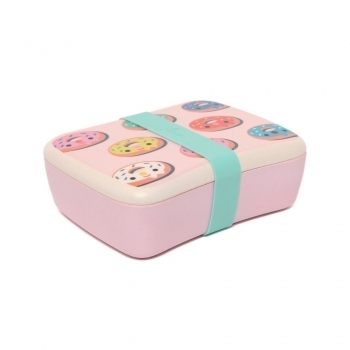 These snack boxes are perfectly suited for adults too. 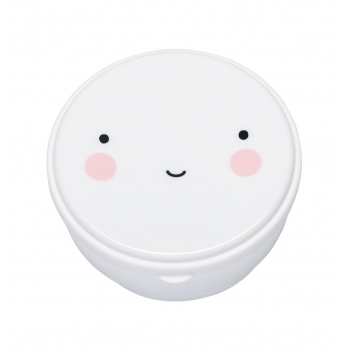 Are you looking for lovely containers to store pieces of fruit or cookies? 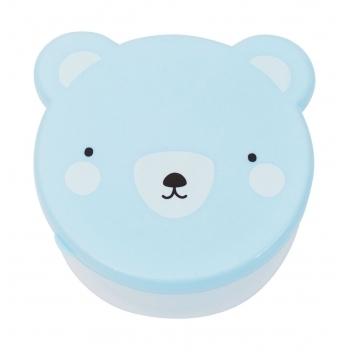 Once filled with snacks, these Blue Bear snack boxes get your kid through the day. The convenient containers are sold in a set of 4 different sizes. We also love using these containers to bring healthy snacks to work. 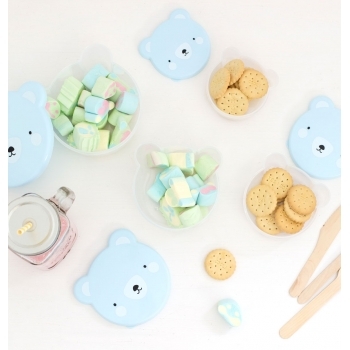 These snack boxes are perfectly suited for adults too. 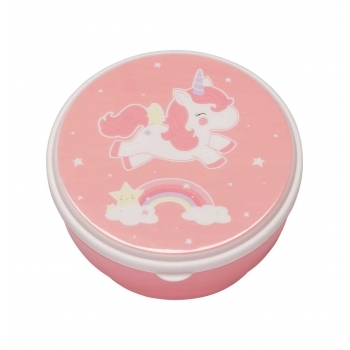 What a fun & cute lunch box! 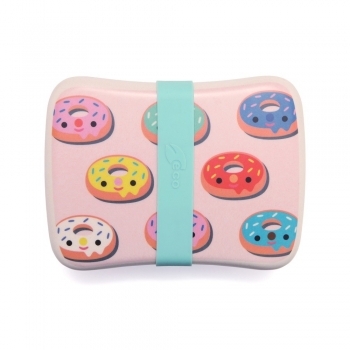 This lovely bamboo lunch box with little donuts is 100% biodegradable and ecofriendly. 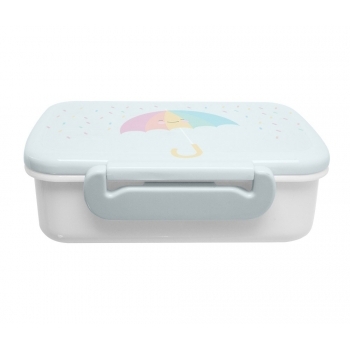 The soft toned pink colored lunchbox comes with small a colored snack box inside with a transparent lid and fresh blue silicone strap for closing. 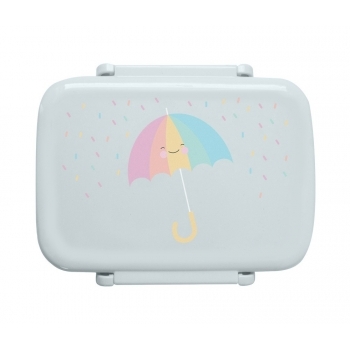 This cute little lunch box with umbrella print is slim enough to slip into your bag without any fuss, for home-made sandwiches, nuts, fruit or something sweeter to bring to school! It is also great for snacks when you’re on the run. 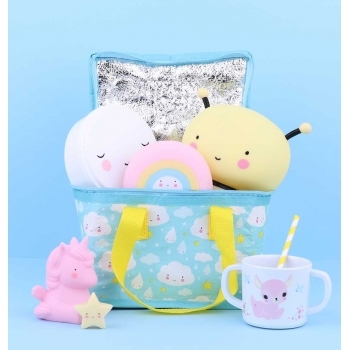 And your little one will love carrying their treasures around in it !!! 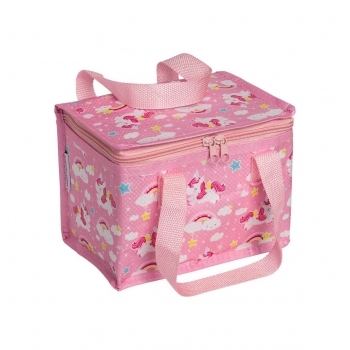 This practical lunch box in dark grey and pink is perfect for school meals or small picnics. 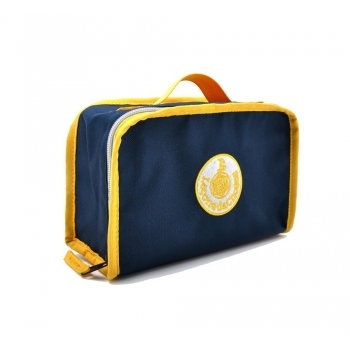 This practical lunch box in dark blue and yellow is perfect for school meals or small picnics. 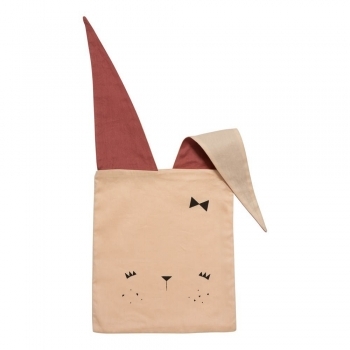 The bunny bags are definitely the most original lunch bags you’ll ever see. 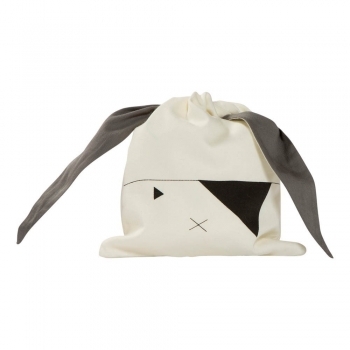 Tie the ears to a knot and take these little white and grey bunny pirate along with your lunch or other precious belongings. 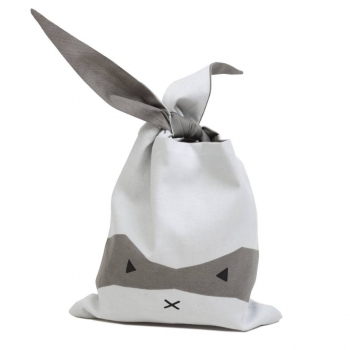 The bunny bags are definitely the most original lunch bags you’ll ever see. 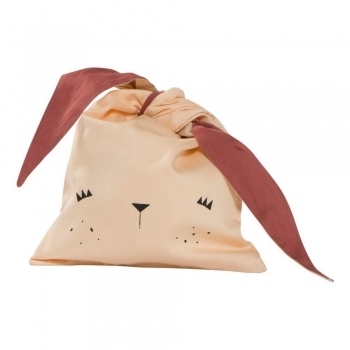 Tie the ears to a knot and take these little peach bunny along with your lunch or other precious belongings. 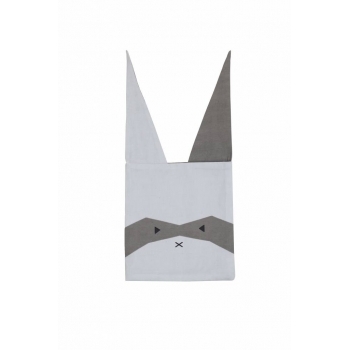 The bunny bags are definitely the most original lunch bags you’ll ever see. 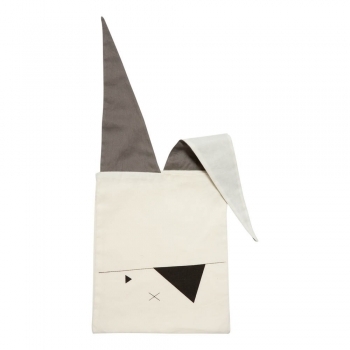 Tie the ears to a knot and take this little racoon along with your lunch or other precious belongings. 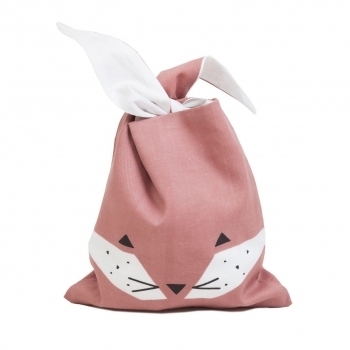 The bunny bags are definitely the most original lunch bags you’ll ever see. 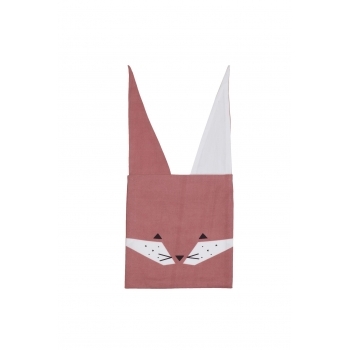 Tie the ears to a knot and take this little fox along with your lunch or other precious belongings. Liewood’s Anker Rabbit water bottle in blue is perfect for short trips to the playground and even for longer adventures at daycare. 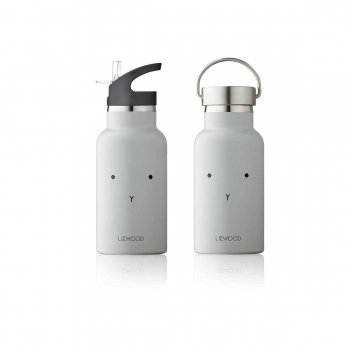 The bottle is made of best quality steel, has a thermal function that can keep 375ml of both hot and cold liquid. 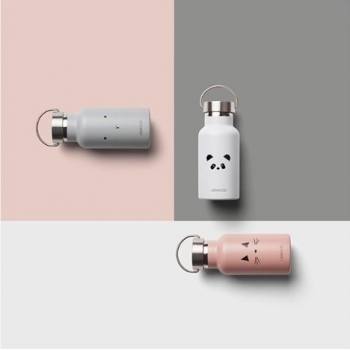 The water bottle and comes with both a normal lid and a sports lid. 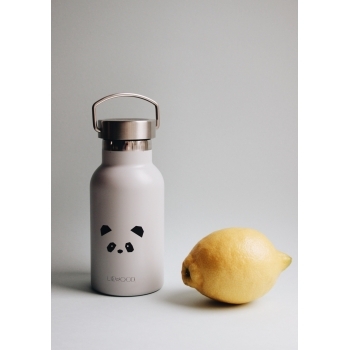 Liewood’s Anker Panda water bottle in dusty mint is perfect for short trips to the playground and even for longer adventures at daycare. 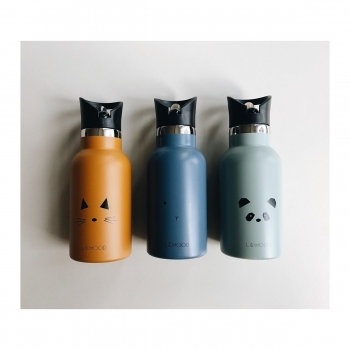 The bottle is made of best quality steel, has a thermal function that can keep 375ml of both hot and cold liquid. 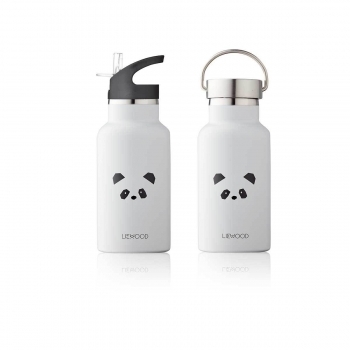 The water bottle and comes with both a normal lid and a sports lid.